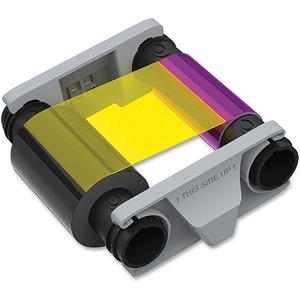 A YMCKO color ribbon is designed for use with in Badgy100 and Badgy200 printing systems to generate personalized color cards in less than a minute. Durable PVC cards and printers are sold separately. Ribbon yields approximately 100 prints.